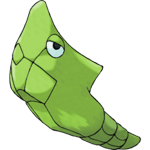 Butterfree is the twelfth Pokemon on the National Pokedex and was introduced in Generation I (Red, Blue, Yellow). 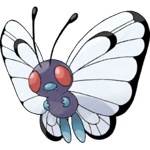 Butterfree is a Bug/Flying type Pokemon. 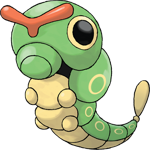 It is a Stage 2 Pokemon; Caterpie evolves into Metapod at level 7 who evolves into Butterfree at level 10.